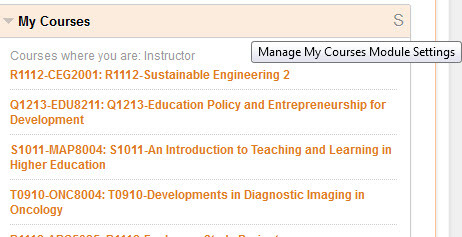 The 2013/14 modules are all now available for staff to access in Blackboard. For the vast majority of cases these modules will not contain any students at the moment. Many thanks to all of you who completed the recent staff survey that covered Blackboard, ReCap and EvaSys. From the responses to the Blackboard survey (>740 responses) one of the themes that came out from the comments was the naming and ordering of modules within Blackboard. So based upon this feedback a couple of changes (we think for the better) will happen after the upgrade on August 3rd/4th. 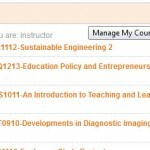 If you wish to do so you can customise what is displayed and in what order in your Course List. Please visit this post for a guide on how to do this.